Holocaust Museum, Arlington National Cemetery Plead: No Pokémon : The Two-Way The sites where visitors normally reflect on somber themes ask players of the hot new mobile game not to chase cartoon characters there. The Pokémon Go mobile game is the top-grossing app for Android and iPhone. Today, the U.S. Holocaust Museum and Arlington National Cemetery asked people to refrain from using the game while visiting the somber sites. Please do not catch virtual monsters among the graves of fallen soldiers. This is the message from authorities at Arlington National Cemetery, aimed at those who might use the hit mobile game Pokémon Go at the cemetery. "Out of respect for all those interred at Arlington National Cemetery, we require the highest level of decorum from our guests and visitors," cemetery officials said in a statement. "Playing games such as 'Pokémon Go' on these hallowed grounds would not be deemed appropriate. We request that visitors to ANC refrain from such activity." For those players who might get their news from Twitter, they followed up the statement with a tweet. 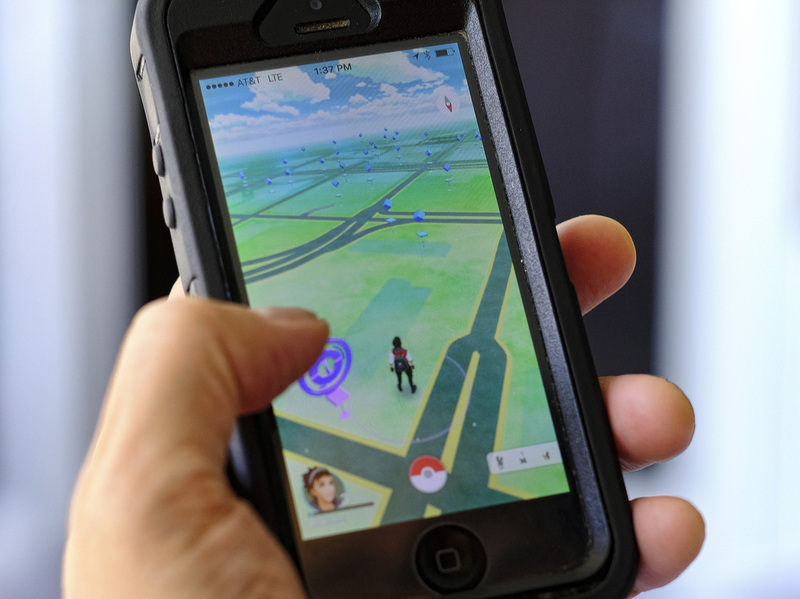 "The game has a geographic database of notable or interesting locations meant to be visited in person — PokéStops, where players can retrieve helpful items like potions, or gyms, where they can train their Pokémon." "Playing Pokémon Go in a memorial dedicated to the victims of Nazism is extremely inappropriate. We are attempting to have the Museum removed from the game. "Technology can be an important learning tool, but this game falls far outside of our educational and memorial mission." Just outright banning cellphones from the the museum is not really an option. Both the museum and the cemetery encourage visitors to use special, site-specific apps to supplement their experiences, to learn about personal history of the Holocaust, for example, or a historical figure buried at Arlington National Cemetery.